Kind of reminds me of that kid from "Foxtrot"
The first test build went pretty well. There are some minor tweaks to be made, but overall the model came together nicely. Please note: I normally would not equip my mech with two laser cannons and two dual laser cannons, but those are the only weapons that I've designed so far. Wow. That looks great! Nice job. Is that going to be in the Horde? You are the 2.5D master! 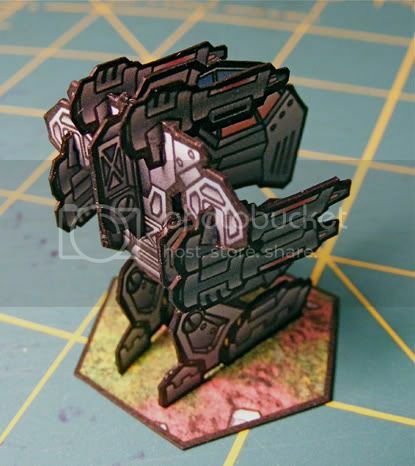 Can't wait to build it and add it to my Terra Force army! That is absolutely gorgeous! I can't wait to see what else you come up with! That is one cooooool looking mecha. 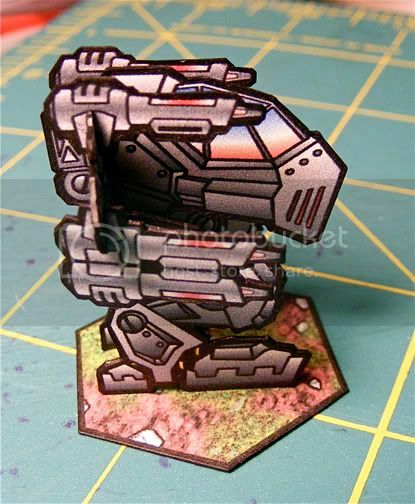 Great job on the 2.5d man that looks great from all angles! Yea - what he said. Absolutely freakin' awesome job. Time to lay down the law 2.5D-style! Fantastic. Seeing it on that hex like that reminds me of playing Mechwarrior to death as a kid. He would totally overheat with that gear, but with the interchangeable parts it looks well worth it. Couple SRMs...some Machine guns...Oooo just like Christmas. 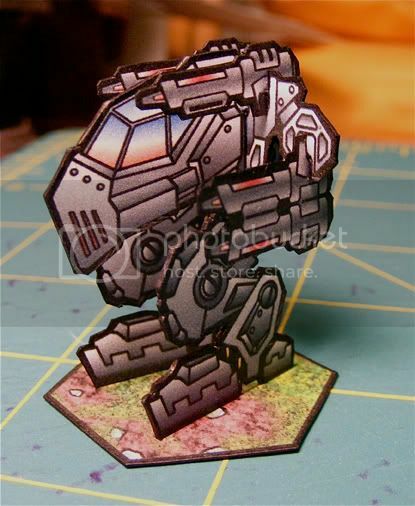 Not as menacing as the old-style Warhammer mech from the old FASA Battletech game (my favorite battlemech in that game). Nice mech (or mecha?) though - looking forward to see the 2 other mechs and more weapon variants. I haven't had a play of them yet, but they certainly read well. Very cool, I was waiting to see it built. Looks like you designed it well, to look good from every angle. The medium mecha is complete (except weapons) and I've finished the basics of the heavy mecha. Basically I rescaled the medium version, and then tweaked the details. I kept the size of bolts, screws, and other details the same because I figured there should be a standard size. I don't know if this same technique will work with the light mecha, but I'll try that next. 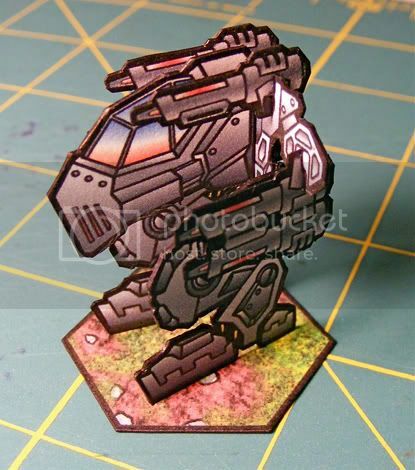 I can see myself getting back into mech-based wargaming just because of your designs--are there any plans on doing other vehicles (tanks, gunships, etc)? 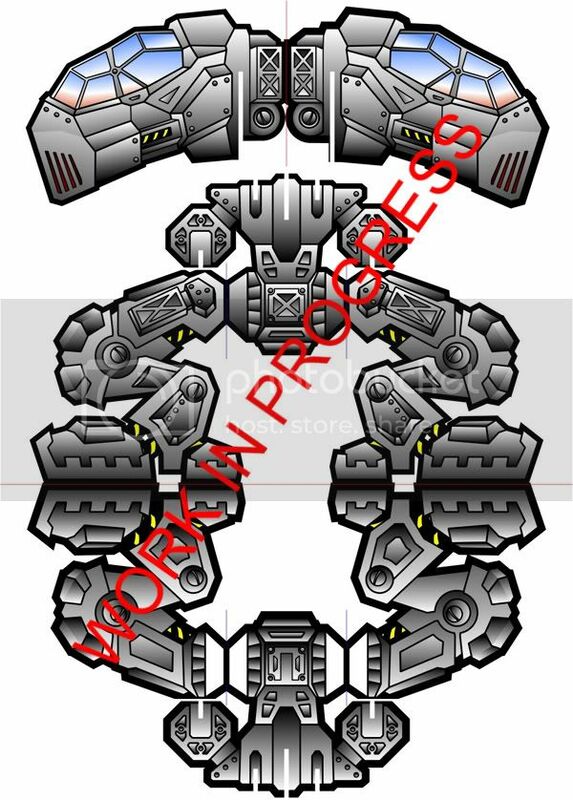 The basic game will be Mechs only... I hope we can do Vehicles/Infantry in the first expansion, and perhaps close support/transport aircraft in the second expansion... that's the plan anyway. Nice. Will the weapons be the same scale on the Heavy Mecha, but you just get more of them? Same max number of weapons, but yeah, you can mount bigger ones on heavy mechs. Sounds like a good system. I was thinking of maybe having twice the number of light weapons on a hardpoint since it is a heavy mech. At least that was how I used to build them in various PC games. Not very strategic, but fun.